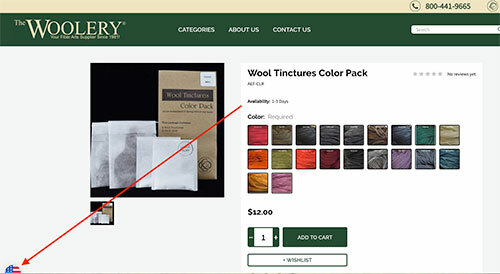 The Woolery offers free shipping for shopping cart totals of $100.01 or more within the Continental USA. The type of service and the carrier will be selected by The Woolery. Please note that items with a shipping length 48" or greater are subject to a $11.00 surcharge imposed by the major carriers, regardless of the shipping method selected. Our other shipping options do not have a guaranteed delivery date. This particularly applies to Priority Mail options. USPS does not offer a shipping guarantee on Priority Mail. Most places in the continental U.S. are 2 to 3 days with Priority Mail and 1 to 2 days with Priority Mail Express, however it can take longer. If you are concerned about meeting a deadline with your order please call the shop and we will be happy to help. The Woolery offers a variety of international shipping options that include FedEx, DHL, US Postal Service (USPS) and United Parcel Service (UPS). Duties, taxes and custom fees are including in our shipping rates for all carriers except the Post Office. When shipping to an address outside of the US, the flag icon in the lower left corner of our website should represent the delivery country. If not, simple click on the icon and select the appropriate country. Please check to make sure that the US flag is displayed in the upper left corner of your screen. This will permit shipments to a stateside address. If the US flag is not displayed, click it and change it to US. When you receive your shipment, immediately examine the contents to determine that all items ordered are accounted for, either in the shipment or noted as back-ordered. If a small item is "missing" - check all packing materials or the sides of the boxes as we will tape small items to the box so they are not misplaced. Depending on what you ordered, there is also the possibility that not all boxes have arrived or that an item is on backorder. Also, sometimes orders include a product that will be drop-shipped from the manufacturer/distributor resulting in packages arriving on different days. 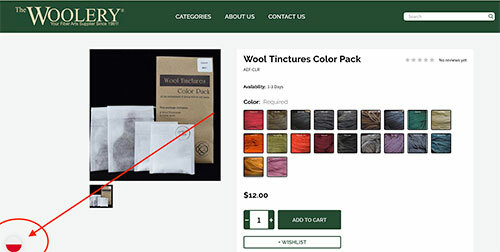 If you note a problem with your order - missing items, duplicate items, wrong items, etc. please contact us immediately at 800-441-9665. Claims made after 5 days of the arrival may result in denial of claim. Maintain all shipping boxes and materials; these may need to be examined by the shipping company and returned to the shipping company. Failure to maintain the packing materials can impact how a claim will be handled. Take pictures of the box(es) and damage on the item. Email the pictures along with your contact information and order number to info@woolery.com. We will contact you within one to two business days to help you resolve the damage to your order.